Arts Umbrella’s one-week Architecture Scholarship Intensive provided a group of eight students with the rare opportunity to work with some of Vancouver’s most celebrated architects. 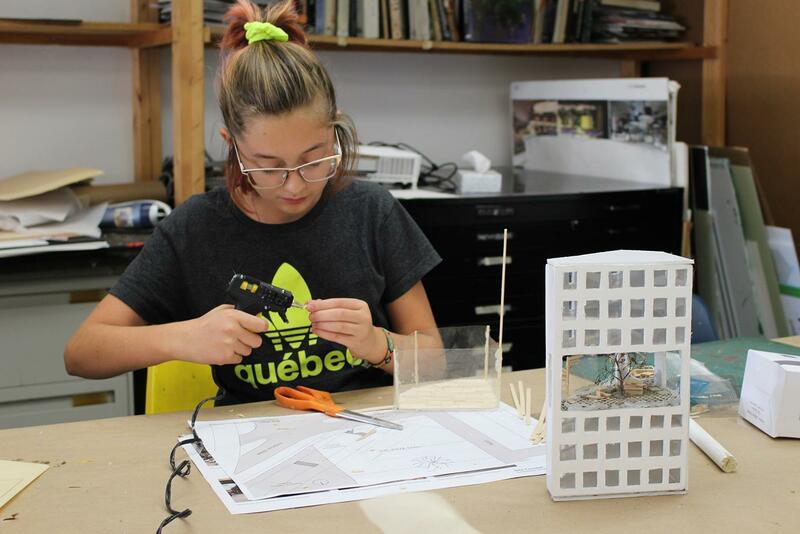 Through model-making and guest architect visits, they learned about creative approaches in building public spaces and new ways of seeing the built environment. Based on group discussions, research, and critique, each student created a model and accompanying floor plans or artistic renderings to showcase their ideas. At a private event at Performance Works, we celebrate our students’ work as part of the 40th anniversary celebration of presenting sponsor, BTY Group.